In the beer industry, times are tough everywhere. People are drinking less beer, period, as the market share held by beer continues to be eroded by wine and liquor. Many mid-sized, older-generation craft brewers are feeling the pinch—we wrote just earlier today about the closure of Mendocino and Saratoga Brewing Co., and the impending sale of Smuttynose—but it’s the non-craft or “macro” brewers who may be in an even worse position overall. Look at Anheuser-Busch InBev, which laid off more than 300 employees last year, largely from its “craft”-focused High End division. And now you can look at Pabst Brewing Co. as well. 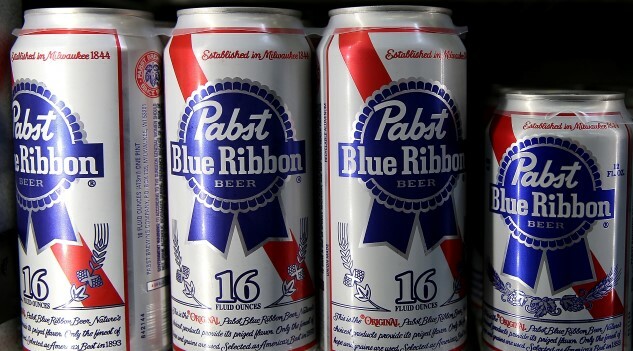 The makers of PBR and many other brands today announced that they’re laying off around 18 percent of their total workforce. This is the second round of layoffs in two years for Pabst, and will involve the elimination of around 70 positions from the company. They’ll come from across the entire organization: Sales, marketing, operations and administration, eliminating 50 current positions and not filling 20 more open ones, in order to reduce the company’s cost basis by 15 percent, according to Brewbound. Or in other words: Things aren’t going too well, but hopefully if we slash costs, maybe they’ll be better? Last year, Pabst laid off dozens of workers, most of whom had been hired to promote the surging Not Your Father’s Root Beer brand from Small Town Brewery, which took the nation by storm and grew to $100 million in off-premise sales only six months after it began national distribution. However, those sales quickly slowed and reversed, and HARD—off-premise sales of Not Your Father’s Root Beer were down a whopping 60 percent in 2017, suggesting that the initial mania for alcoholic soda was one of pure novelty rather than any kind of lasting staying power. The result was slashes to the workforce that promoted and sold Small Town Brewery products. Thorpe now says the company is in “a much better place” with Small Town, but the bottom line is that this company has shrunk drastically as a whole in only a couple of years. In mid-2016, Pabst employed a high of 440 people. Currently, after the most recent cuts, that number is now 310. That’s hugely significant for the brewery rated by the Brewers Association as the third largest in the country, after Anheuser-Busch and MillerCoors. There doesn’t appear to be any end in sight when it comes to the contraction of the beer market, and if these cuts are any indication, “Big Beer” is bracing itself for more famine times. Here’s hoping that as many small breweries as possible find a way to survive and thrive.